Choose an abundant bouquet to declare your love and good wishes. This vibrant combination of white roses, purple germinis and purple alstroemeria is designed to complement any special ocassion and bring enourmous happiness to a much appreciated recepient. I had a positive experience. Thank you. Received the flowers I hoped for - fresh, beautiful and very eye-catching! Thanks for the great communication and prompt delivery. Fantastic bouquet! Brought so much light and cheer in my home! Amazed by the high quality flowers! Wonderful service. I recommend it to anyone in the UK in need of flowers for a special someone. What a great bouquet. Delivered on time for my daughter's birthday. Straightforward and easy communication. Enjoyed the ordering experience. My aunt totally loved the bouquet I ordered for her. I'm very glad I chose Handy Flowers and if I need to order flowers again - this is the first place I'm going to! On time delivery! Thank you so much! Oh what a sweet combination. 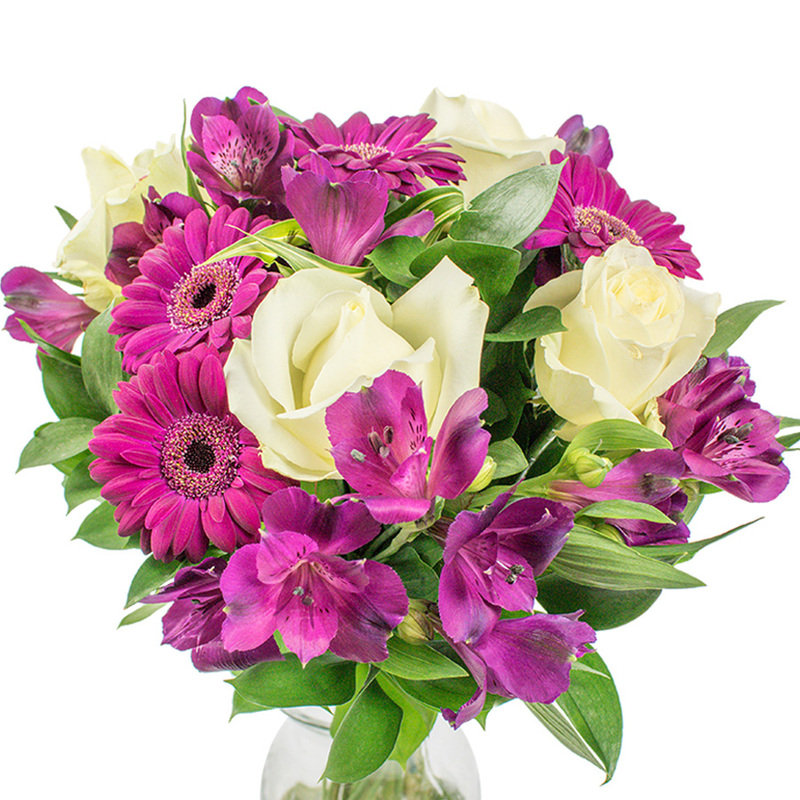 My friend love purple flowers and she will definitely adore this bouquet. 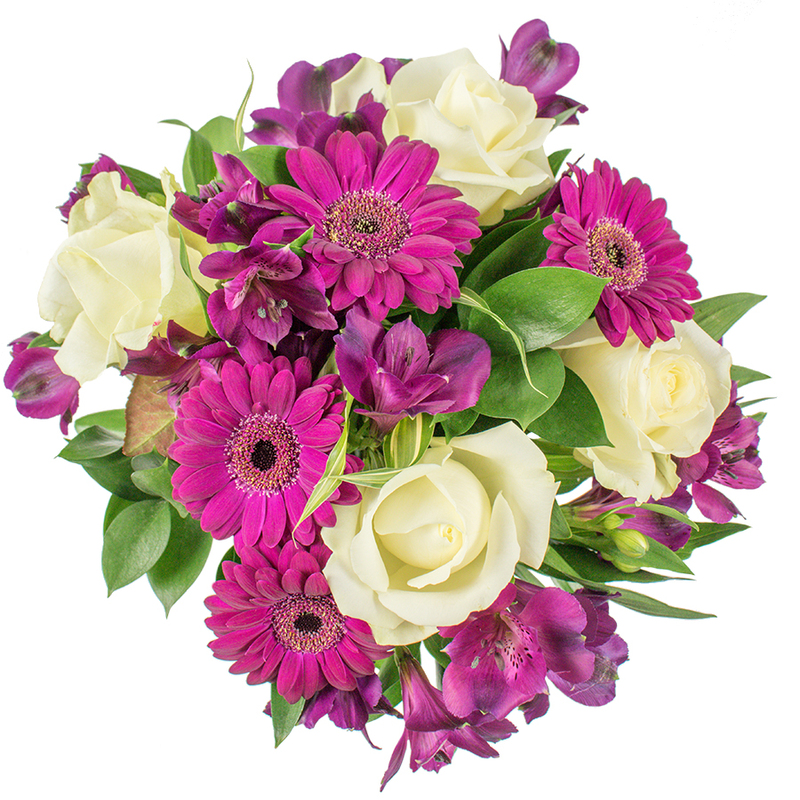 You have quite amazing bouquets on the website.